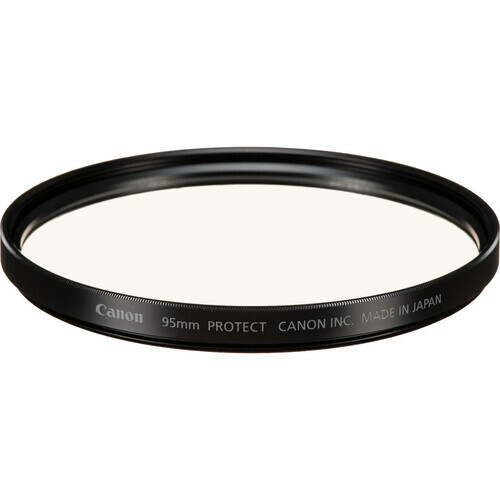 The Canon 95mm Protector Filter is a general use, clear filter that helps to protect your lens from dust, scratches, moisture, and other elements. It is ideal for leaving on a lens at all times as it also helps to provide an additional level of assurance against accidental drops. No additional coloration or contrast is provided, allowing you to pair this filter with others. Box Dimensions (LxWxH) 6.1 x 4.9 x 1.1"